The Marvel Cinematic Universe seems like a tightly controlled machine, with every part working in accordance with every other part, but that is absolutely not the case when you factor in anything that is tangentially connected to the MCU, like the Netflix shows or the new Spider-Man universe that Sony is launching with Homecoming. 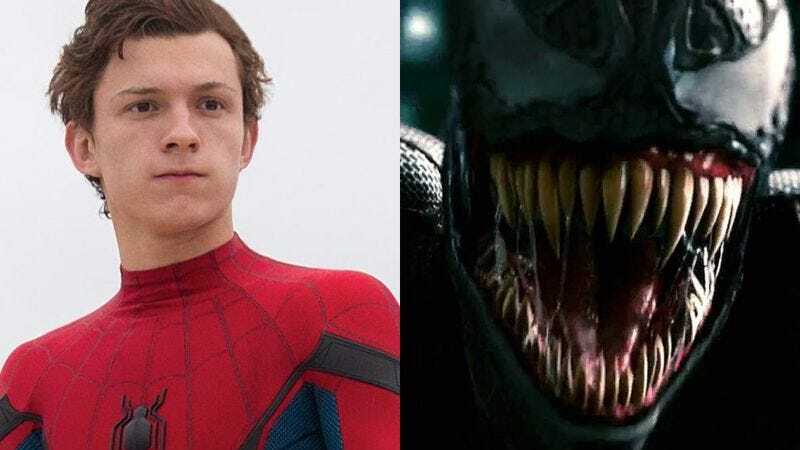 Last year, we reported that Sony was developing a movie about Spider-Man villain Venom (now set to star Tom Hardy), and the studio very strongly implied that it would be fully disconnected from Homecoming and the MCU. This was also the case when Sony announced Silver Sable And Black Cat, another spin-off movie about two of Spidey’s supporting characters that supposedly wouldn’t have any connection to Spidey’s new movies. Now, Homecoming producer Amy Pascal seems to be walking that back a bit, explaining in a new interview that Venom and Silver Sable And Black Cat will actually be part of Homecoming’s world—though they’ll be “adjuncts to it.” She says they may take place in different locations, but those movies and the Spider-Man movies will “still all be in the same world and they will be connected to each other,” meaning they’re also technically in the same world as the MCU movies (unless we all just agree to understand that the MCU and Sony’s Marvel Universe are separate things, and that Homecoming is simply part of both of them). She also teased that Tom Holland’s Spider-Man might appear in these spin-off movies, saying that “there’s always a chance” he’ll stop by.